No company procedure stays current and useful forever. For example, your technology procedures need to be updated when you download new software. Use this step by step method to assess and improve your safety forms. You need to understand the landscape before you can do anything else. Start by searching your company files for safety forms and other similar documents, such as safety checklists and safety reports. Don’t stop at reviewing systems; ask the people around you what safety forms they use. In a small organization, this step may take an hour, while it will require more time in a larger organization. Outcome: A list of all the safety forms used in your organization on a spreadsheet. Building on the step above, your next step is to understand your company’s safety record. For instance, do you have fatal accidents relating to electrical systems? If so, that will be an area to target with improved safety resources and training. Alternatively, you may face different concerns, such as chemical spills. Start by examining your organization’s reports and getting stories from the front line as well. Outcome: A list of the safety incidents and mistakes at the company from the past 12 months. Safety forms exist for a reason. No, it’s not to keep bureaucrats and the legal department happy. The real reason — to keep your people safe. In this step, review the worst safety incidents and see if any of your safety forms could have prevented that event from occuring. Don’t worry if you are disappointed by what you find. Outcome: Identify the safety incidents at your organization where no existing safety form would help. Improving safety should be an easy win, right? That’s not always the case. Managers and front line staff often have other concerns on their minds, like finishing a project on time. 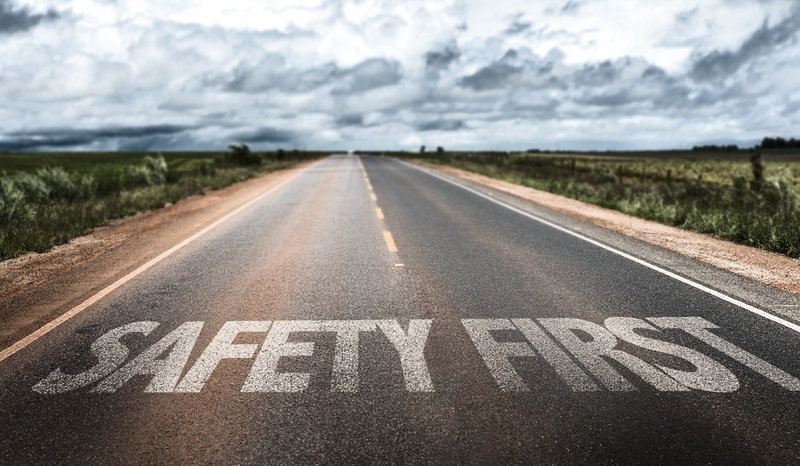 To win support for your safety form assessment effort, research the company’s goals. For example, attracting and retaining high quality talent may be a goal. In that case, you can draw a direct line between retaining workers and promoting a safe workplace. Outcome: Identify one organizational goal that connects to safety form assessment. This will help you build support for improving safety practices at the company because you can cite a connection to company goals. If your company has a health and safety committee, they are an excellent resource to consult. Ask to attend the next committee meeting and present your findings from the above steps. Sometimes, these committees are uncertain of how to demonstrate their value to the company. If you can show them a way to improve practical safety tools, you may gain additional allies for your safety form assessment project. Outcome: Seek to recruit one person from the health and safety committee to provide advice, information and support for improving safety forms. In the previous step, you found out where your existing safety forms have gaps. To address those gaps, you have two options. You can improve an existing safety form. Or you can create a brand new safety form. In this guide, let’s move ahead with the assumption that you create a new form. Keep the form to one page so that you will include only the most important details. Outcome: Write one draft safety form to address the gaps identified in previous steps. If you are removed from the field, it is easy to create a safety form unrelated to frontline conditions. For example, in gathering injury data you might be tempted to ask detailed questions to assess the event. Your field staff will point out if this is feasible or not. For the best results, find one or two people who can test your new safety form. Outcome: Revise the safety form you have developed based on feedback you receive from colleagues. Creating a new safety form and filing it away does no good. It is far better to support the new safety forms with a training and communication effort. If you have a small company or department, ask for 15 minutes to present at the next staff meeting. If you have a larger organization, consider organizing conference calls to present the new safety forms. Outcome: Provide at least one presentation on the new safety forms so that everyone knows how to access them. Want to Get Better Information From Your Safety Forms? Use mobile forms so your staff can quickly complete safety forms on their mobile devices and send them back to the office for review.